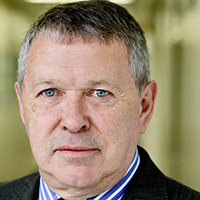 Philip Bruce has been the Secretary General of FEICA (the Association of the European adhesive and sealant industry) since 2016 and is a Director of PJB Chemical Consulting Ltd. Philip enjoys the many challenges FEICA faces as a result of the industry’s diverse range of material technologies and market uses, combined with ever-increasing legislative pressure. FEICA has an active strategy supporting adhesives and sealants with strong membership commitment. Prior to joining FEICA, Philip had a broad career in the chemical, construction and consulting sectors. After graduating in chemistry from Aberdeen University, Philip worked for 23 years for ICI in the polyester, olefins and polymers businesses. Philip then joined Rugby Cement, where he was the UK Chief Executive for two years before moving to Accenture as an Associate Partner in the supply chain practice. In 2005, he became Managing Director of Scott Bader in the United Kingdom, where he led the company in global speciality chemical and adhesive sales. Passionate about business transformation and people, Philip retired from the responsibility of leading Scott Bader, leaving the company in great shape for the future. At FEICA, Philip’s ambition is to ensure that the Association delivers the highest possible value for its members and the industry as a whole. This presentation will provide background to the European Commission’s Roadmap for establishing a circular economy in Europe and to FEICA’s respective position, to support stakeholders’ future activities in the adhesive and sealant sector of Europe towards to circularity. Working with its members, FEICA has prepared a position paper for the adhesive and sealant sector. This presentation is focusing on key aspects of the position paper, setting out FEICA’s views on the circular economy and discussing how this integrates with our Sustainable Development Agenda. It explains the need to work across value chains on eco-design principles and at the same time the need to innovate for supporting end of life solutions and for increase in recycle for some sub-sectors. We are also demonstrating how our materials contribute to the circular economy by eliminating waste, facilitating repair, reducing weight and saving energy. Finally we discuss based on the position paper that circularity is a journey and an opportunity driver as well. Consequently, we will present FEICA’s outline action plan to enable circularity and support societal change. A new FEICA video will be shown that highlights the importance of adhesives and sealants to our 21st century world.